Baphuon is a single sanctuary temple-mountain situated on a high base. 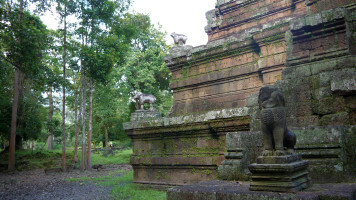 It is a symbolical representation of Mount Meru. 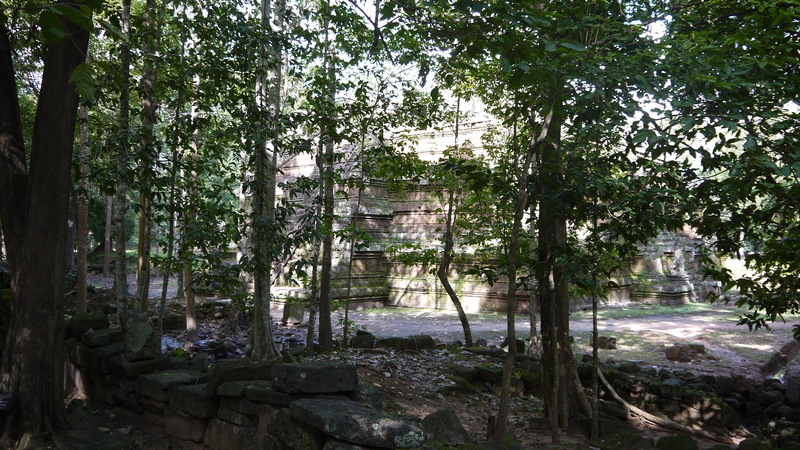 A rectangular sandstone wall measuring 425 by 125 metres (1394 by 410 feet) encloses the temple. 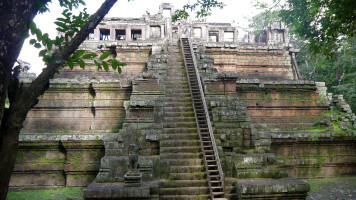 A long sandstone elevated approach (200 metres, 656 feet) at the east entrance forms a bridge to the main temple. 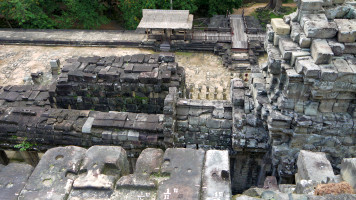 It is supported by three rows of short columns. 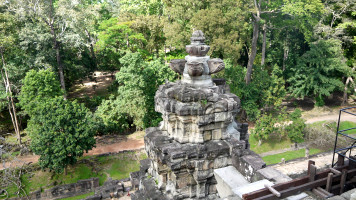 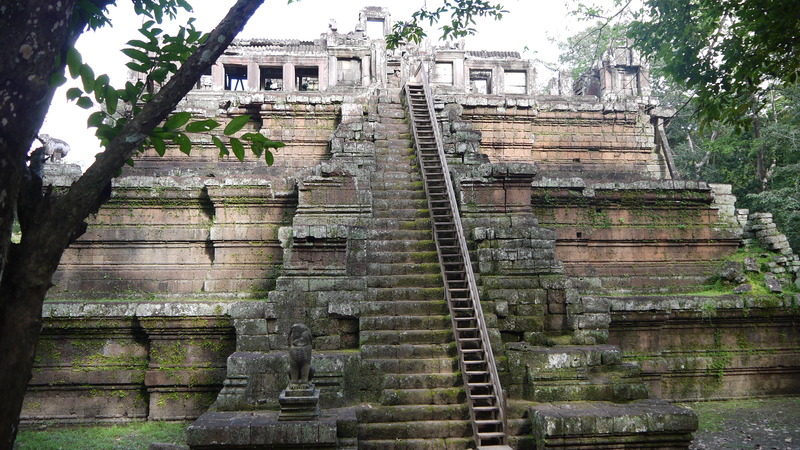 The Baphuon temple stands on a rectangular sandstone base with five levels that are approximately the same size, rather than the more common form of successively smaller levels. 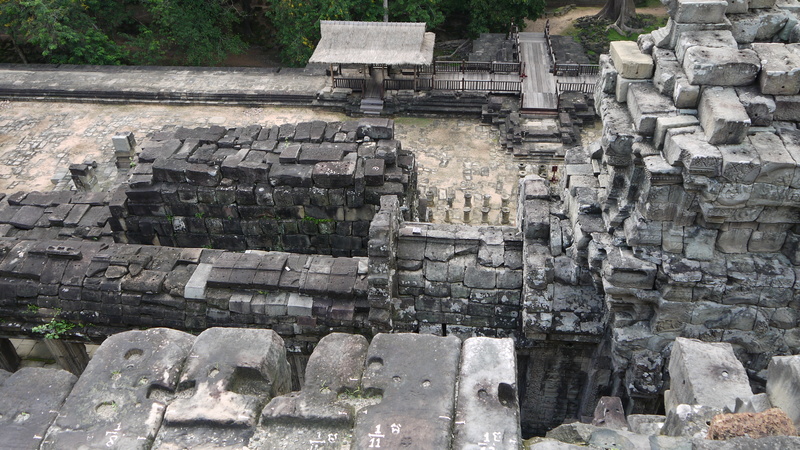 The first, second and third levels are surrounded by galleries. 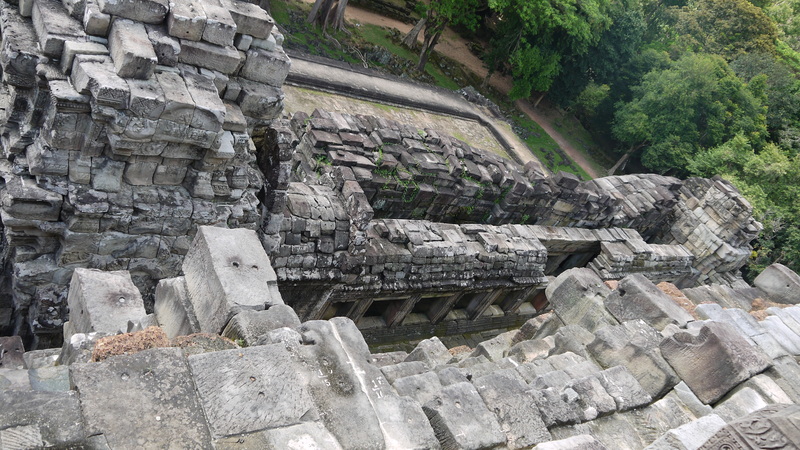 The top level is in poor condition due to several collapses.